Action: Move Qi, dissolve Food accumulation. 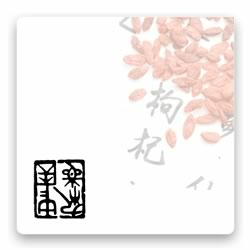 Classical antecedent: Bao He Wan Preserving and Harmonizing Pill. Our herbal staff concluded that the traditional five flavors and the formula function, which includes the qi dynamic, are often compromised during most extraction processes especially when herbs are processed to produce a product which yields high "solids in solution." In other words, it is not the amount of solids by themselves that is important, but the activity of those solids.